City Council Commission D asked Jakarta Bina Marga Dept. to repair more MHT roads and proposing its budget to APBD Public Policy and Priority of Temporary Budget Ceiling (KUA-PPAS) 2018.
" 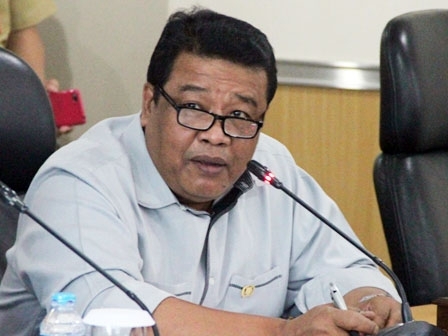 Because there are many MHT road repairs which are hampered for years, such as in East Jakarta"
"Because there are many MHT road repairs which are hampered for years, such as in East Jakarta," said Hasbiallah Ilyas, Member of Commission D, Thursday (11/9). According to him, in recess period, his side often receives request from citizen for repairing MHT road. "Citizens often ask for the same matters. Thus we want additional budget for road repair," he said. Similar thing is also mentioned by another Commission D Member, Bestari Barus. He expressed that the success of council's recess depends on physical development such as MHT road repair by Bina Marga Dept. "It's our responsible to repair damaged road ," he closed.